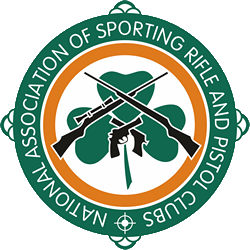 If you are interested in competing for a place on the Target Shotgun teams, being fielded by Ireland in the UK leg of the ITSF International Series, held during the Phoenix match in Bisley this coming May – then please read carefully. Over the last year the ITSF – International Target Shotgun Federation – has been working away on a Handbook, International Team Discipline and Rules to ensure equity of challenge at all ITSF events, in all Nations. That work is still ongoing – as in the actual International Discipline has not yet been confirmed. This is not new – it was the same last year with changes up to the 11th hour prior to the Phoenix @ Bisley. Unfortunately this makes it difficult for individuals to practice the actual match discipline – however, they can practice the challenges. It also creates a dilemma for NASRPC, in how to choose the Irish Teams. So Dean Parker, National Discipline Coordinator : Target Shotgun, has outlined the process whereby the Irish Target Shotgun Teams will be chosen, going forward. For each team there will be a leaderboard to select the teams. On the Leaderboard, each person who competes in Target Shotgun at Ranking Events will be given a score. This “score” will be the aggregate of their individual TP1 (Timed & Precision 1), MT (Multi Target) & EMB (Embassy Cup) scores from that meet. The board will then operate like any other – with a persons ranking score being the aggregate of their 2 best scores from the preceding 12 months. People are then ranked by ranking score, best and second best – from the preceding 12 months – and all time high score. Team selection criteria will be the same as for the GR1500 teams. Team captains will be chosen by ballot of the Championship finalists in relevant disciplines. You may ask why 2 instead of 3 ranking scores? As we do for GR1500. Well that is in order to ensure everyone has an equal chance of making the teams in time for The Phoenix in May, this year and that those that shot the disciplines last year – prior to these criteria being announced – do not have an overly unfair advantage. There will be three heats before then. This way, everyone has three opportunities to get their two required scores – meaning anyone – even a person who has never competed before, can make the teams. Following The Phoenix 2019 – the rules will revert to a ranking score being an aggregate of their 3, instead of 2, best scores and the minimum criteria being 3,instead of 2, ranking scores shot in NASRPC event in preceding 12 months.